2010 is not a typical Alsace vintage and despite the very rough weather conditions during the vegetative period, all growers are very pleased with the quality of the wines produced. The first results are showing wines with intense freshness and a beautiful typicity. However, yields are very low compared to previous vintages. Toward the end of 2009, around the 20th of December, temperatures were extremely low, reaching minus 20°C! Some young parcels, such as Gewurztraminer, have suffered a lot with buds freezing. This extreme weather condition has had a direct effect on bud break, which happened 3 weeks later than normal. The month of May was very cool and rainy. Nevertheless, the last 2 weeks got warmer and allowed catching up on the delay. Therefore flowering occurred around 20th June but was spread out, as a result of the winter frost and the late budding. Because of the low temperature at the beginning of the flowering period, fertilization was disrupted and resulted in flower abortion and millerandage. Fortunately high temperatures were registered at the beginning of July, which allowed speeding up maturation and limiting sanitary risks in the vineyards. Around harvest time, various maturity controls confirmed, firstly that sugar levels were good, then that the acidity levels were high. The main consequence of the chaotic weather conditions is that maturity was heterogenic from one vineyard to another. During the harvest period, optimism came back after 15th September, thanks to a most welcome sunny and dry weather. Acidity of the grapes evolved in a good way and degrees of alcohol were high because of the low yield in the vineyards. Wines of vintage 2010 will have an intense fruit character with a great freshness, which is always a good sign to produce wines which can be aged. Yields were very low on some grape variety, for both crémants and still wines. Although it is difficult to generalize a vintage like this one, some observation can already be made. Crémants are very refreshing. Muscat and Pinot Blanc are crunchy and fruity. Pinots Noirs show some good fruit flavours and a deep colour, due to good extraction levels. 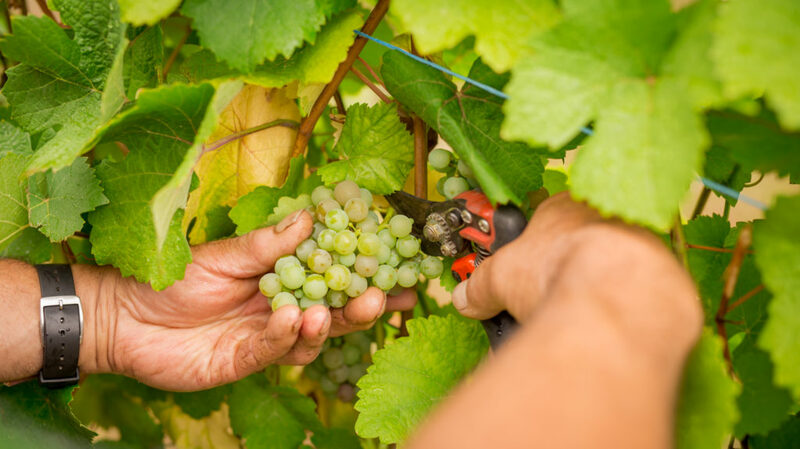 Gewurztraminer yields are particularly low this year, but the wines have excellent fruit intensity, a good richness balanced with freshness, which is the main characteristic of this vintage. Pinots Gris are generally very fruity. Problems linked to the climate have also affected the yields on Riesling. Therefore there will be heterogeneity depending on the terroir they come from, but mostly, the Rieslings display lots of citrus aromas and a lovely freshness. Baring the fact that the autumnal weather combined with low yields were not the best conditions for development of botrytis, volumes of Late Harvest and Noble Grape Selection will also be quite low this year. For all AOC, forecasted volumes should be lower than 1 million hectoliter, a decrease of around 20% compared to last year.